Ready to find a Certified Pre-Owned Vehicle at Lincoln of Wayne? 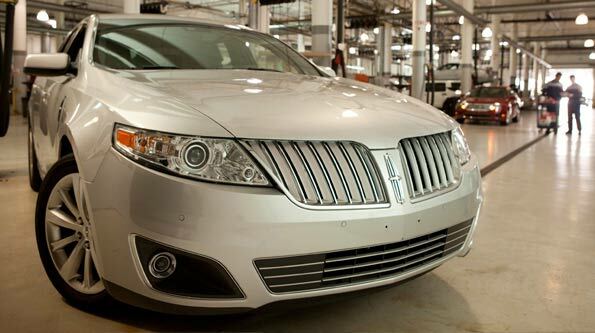 Before your Lincoln vehicle is delivered, the following checks and inspections are performed. Any item(s) that does not pass our unique 200-point inspection is replaced or repaired with a factory-authorized part. Click below to learn about everything we check, step by step, as we certify our Pre-owned vehicles. *** 6 years from original Lincoln New-Vehicle Limited Warranty or up to 100,000 Miles on the odometer, whichever comes first. After each service visit, we're happy to return your Lincoln back to you washed by hand and ready for the road ahead. Should your Lincoln require warranty service, we'll be there for you with a complimentary loaner vehicle. Enjoy a 3-Month SiriusXM® All Access Trial Subscription. Customers who purchase a Lincoln Certified Pre-Owned vehicle, factory equipped with SiriusXM Satellite Radio, will be eligible to receive a 3-month SiriusXM All Access trial subscription. With over 150 channels, SiriusXM brings you everything you want to hear, everywhere. Select vehicles equipped with Navigation Systems may be eligible to receive SiriusXM Traffic and Travel Link®,† providing detailed traffic and weather information, including ski conditions, fuel prices, sports scores and more. Ask your dealer if your vehicle is eligible.